Clara and Freya and what they do. It's fun watching how much Clara influences Freya. Freya seems to jump in leaps and bounds simply to keep up with a sister that is 2 years older than her. Clara enjoys telling jokes and has a natural sense of timing that often makes me laugh. Freya likes the idea of people laughing but doesn't really get what the structure of a joke is. Now, you may think - that makes no sense. But we have The Book With No Pictures by B.J. Novak to thank for that "Ba-Dongy Face" zinger punchline. This is a book that Clara had recently begun reading out loud to her sister. They play a lot together and fight sometimes. As you do. There most recent obsession, aided and abetted by Gerald, is fort-making in their room. They build elaborate forts in their room and hang out underneath in the semi-gloom and talk and play. I have to admit their forts are a lot more impressive than my attempts as a child with Becky which consisted of sitting in Becky's closet with the door shut. 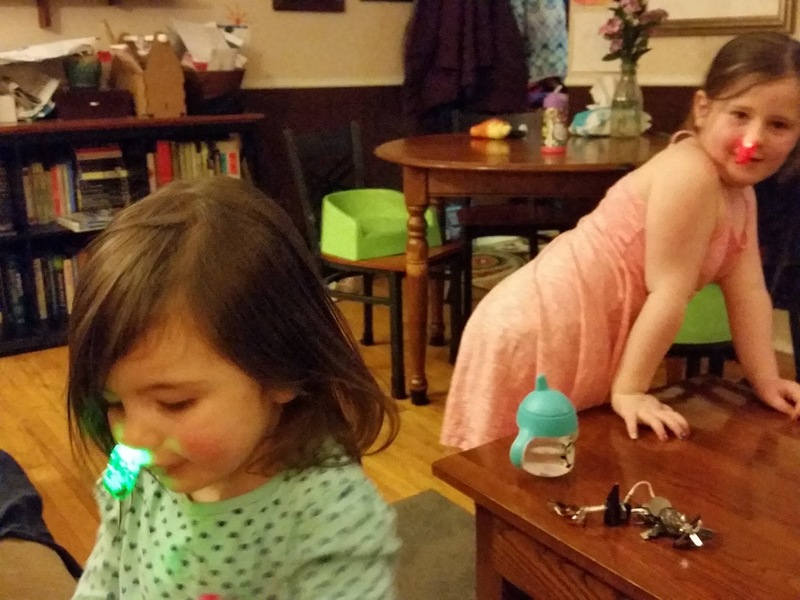 Clara has become interested in the idea of allowance, and earning allowance with chores. 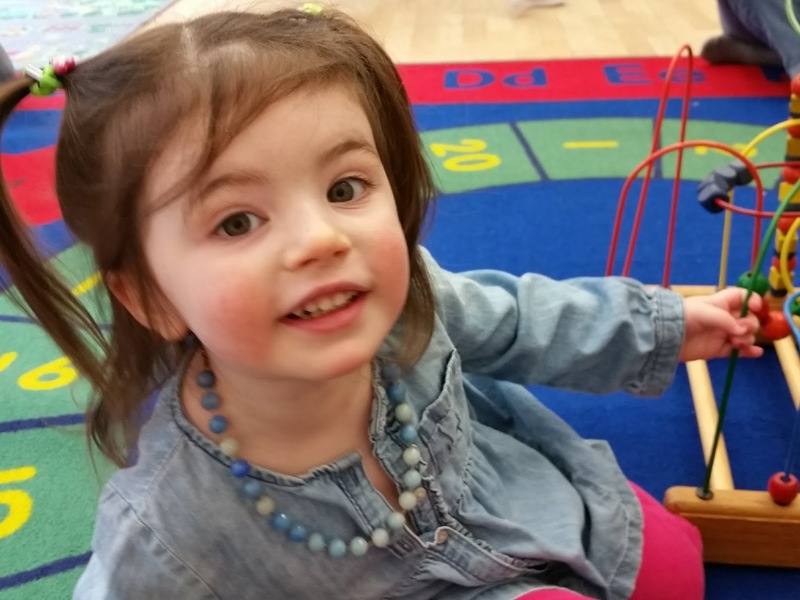 (setting the table, keeping toys off the floor of her room, and wiping off the bathroom sink, in case you were wondering) Clara loves counting her money and talking about what she's going to spend it on. And this too, has somehow trickled down to Freya. Freya: Hey...Mom. Mom. I have a question. The next night Freya woke Gerald and simply said: "It's 25 cents." before leaving the room and going back to bed. They are endlessly entertaining and I can't wait to see what they get into next. 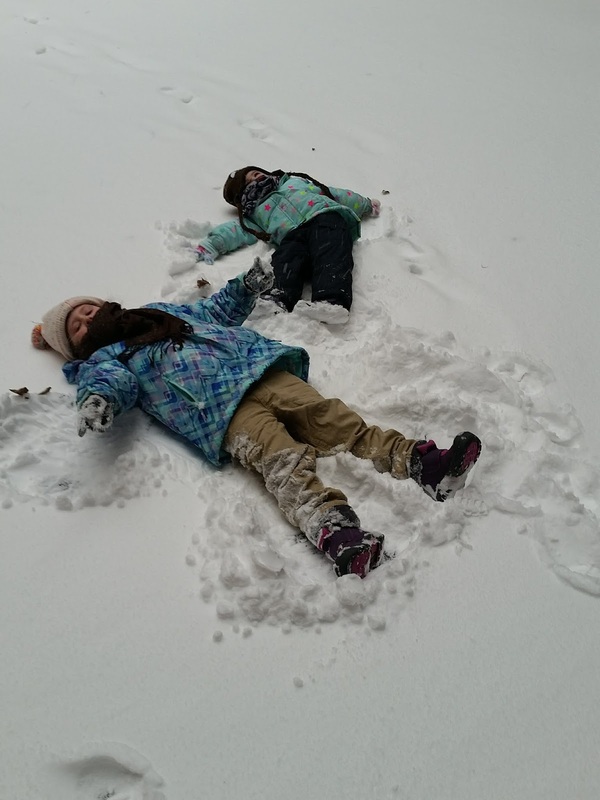 Clara teaching her sister about snow angels. They found finger lights and put them in their noses. Freya at her toddler class. 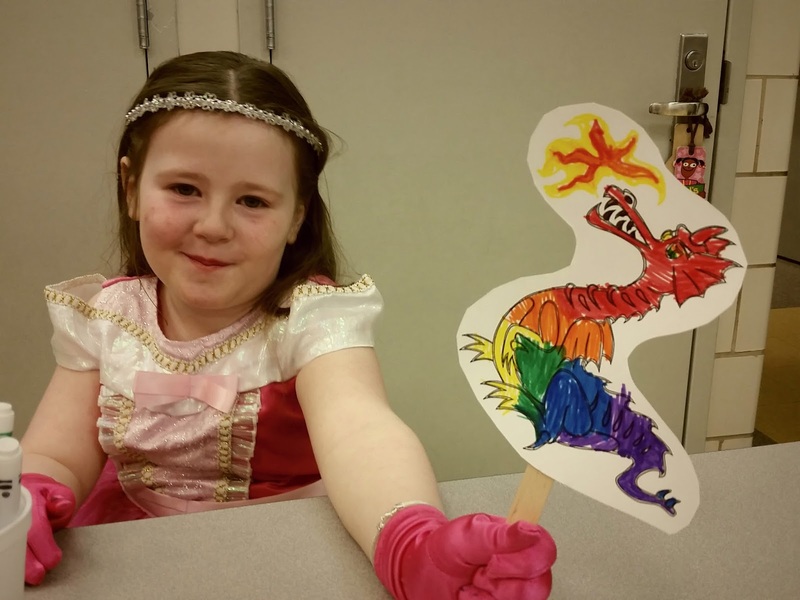 Clara at a school event. She made a dragon for Freya too.